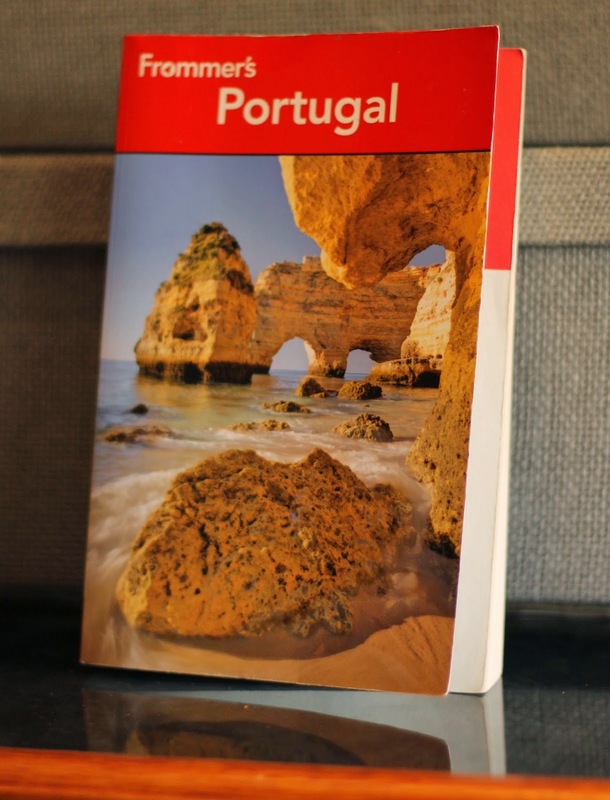 Fortunately I got a second chance, and happily boarded a plane with the boys by myself to meet my parents for a return to this region of southern Portugal a few weeks ago. 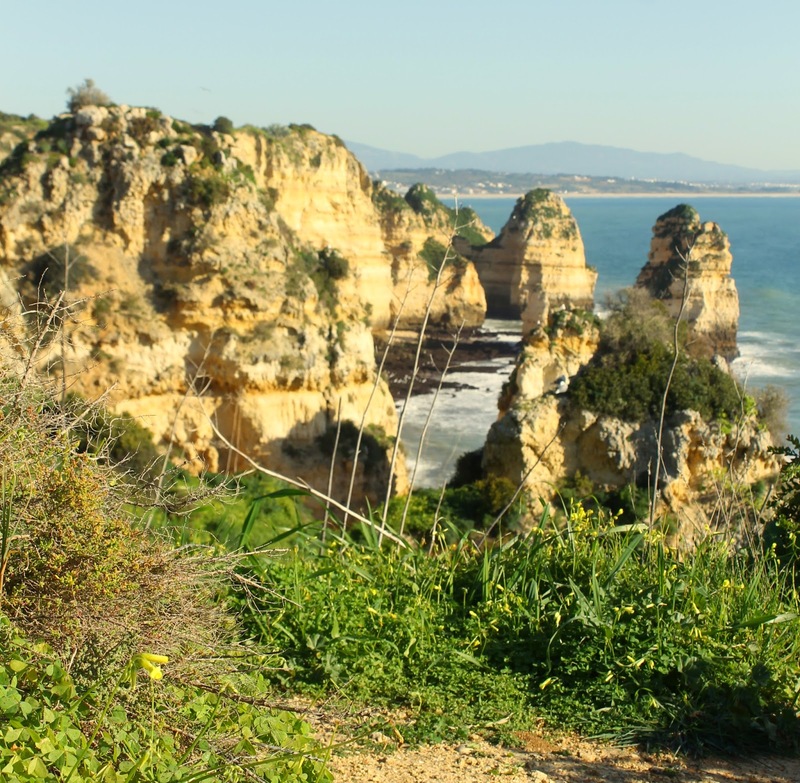 At the top of my sightseeing list was, no surprise, Ponta da Piedade. 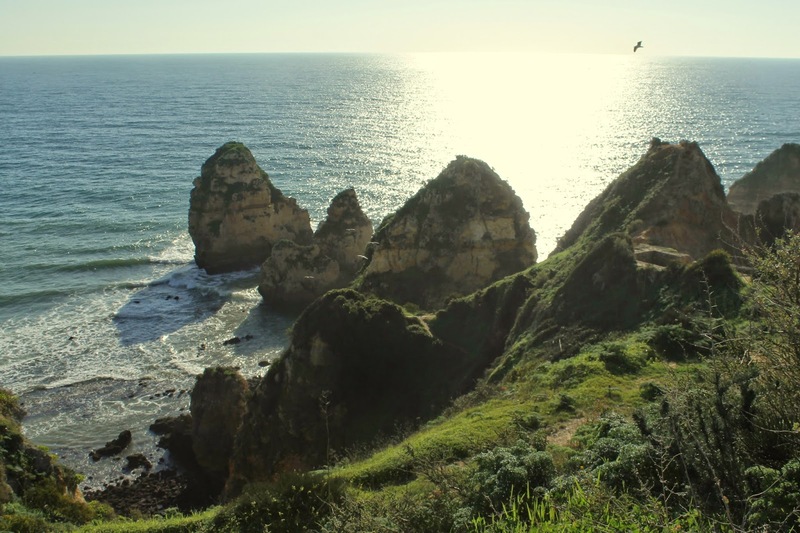 Ponta da Piedade is the type of place where you might contemplate tearing up your travel bucket list, and letting those pieces of paper sail across the windy cliffs. Because what could be better than this? I'm so glad I got a chance to return and see it. 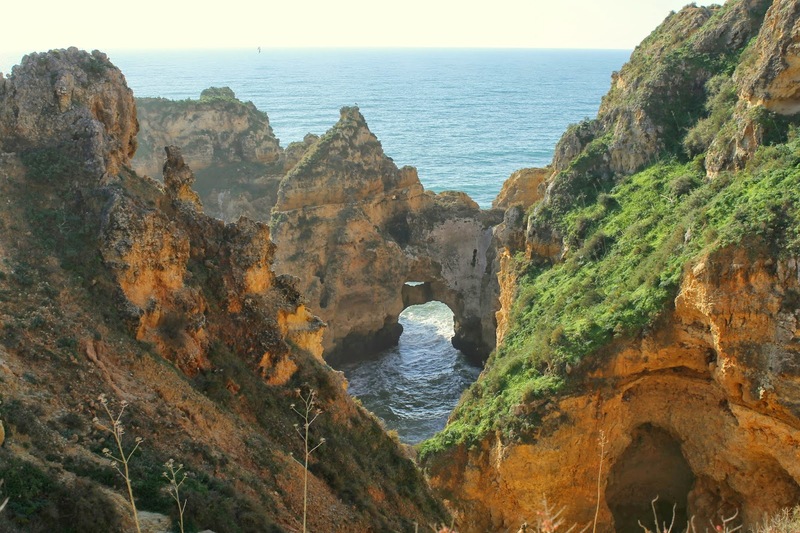 Location: If you have a sat nav or GPS, Ponta da Piedade will likely show up as a destination (it did on my TomTom). Regardless, as you head south out of Lagos you will see a few signs for it. Parking/Amenities: There is a parking lot and small café at the start of the various hiking trails found there. Safety: I didn't explore the dirt trails, and instead stuck with the walled path that leads down to the water. 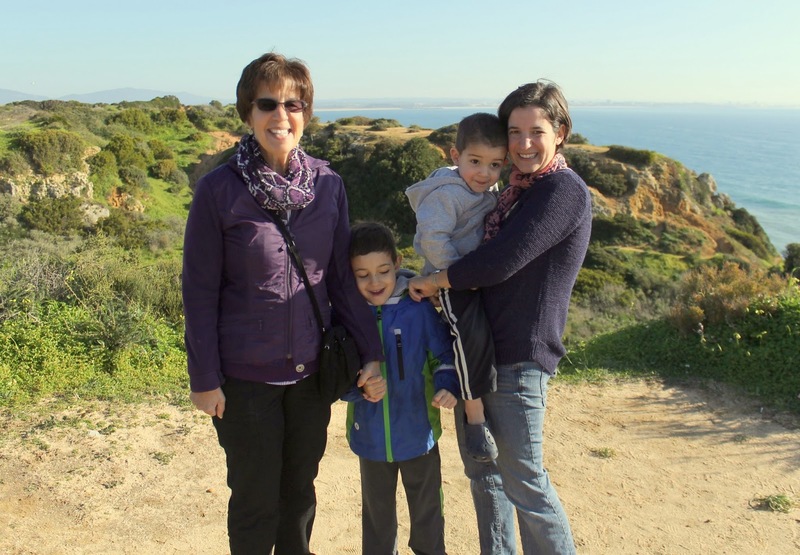 I felt comfortable letting the boys explore this path (with both myself and my parents closely monitoring them), but I wouldn't have allowed my 3-year-old onto those dirt trails. So it is necessary to keep young children close to you. 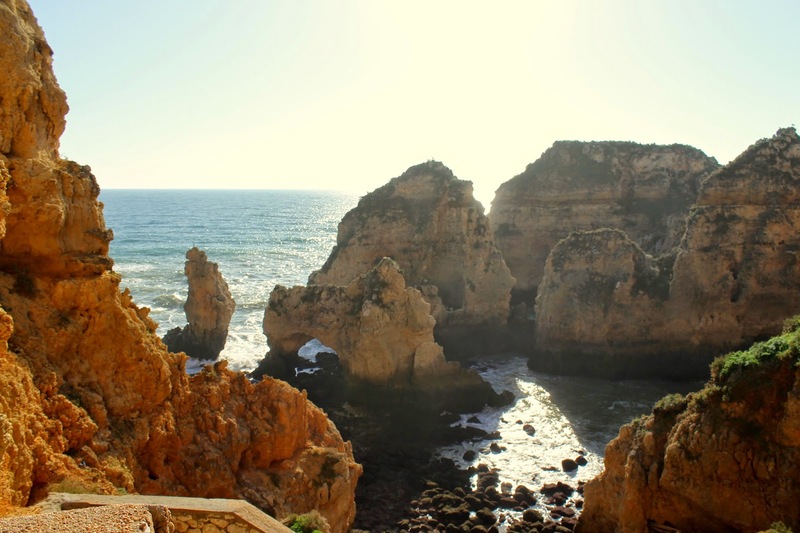 Physical Demands: I could have comfortably taken the 182 steps down to the water and back (with lots of photo breaks). 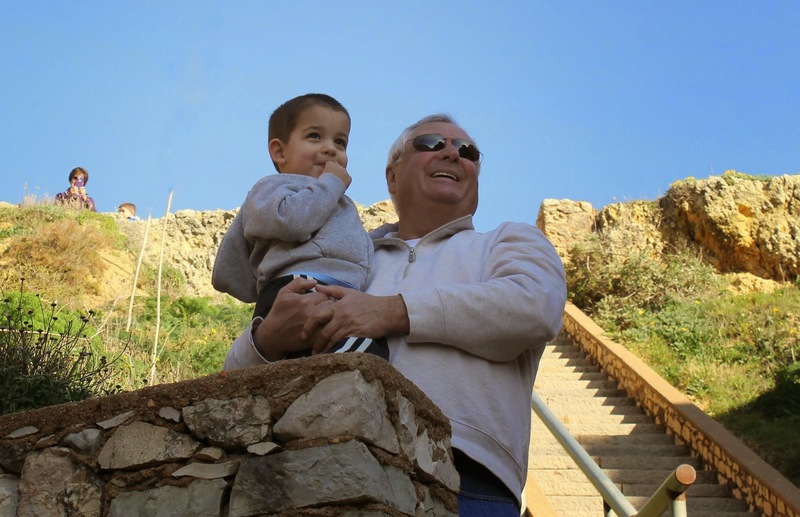 My 3-year-old walked about halfway down, and my father and I carried him back up when he didn't walk himself. (My 5-year-old was a little frightened by the heights and only went down about 1/4 of the way... which tells you a lot about their personalities, actually.) Regardless, the view is impressive no matter how far down you walk. And there are several flat platforms where you can take a break for photos and rest along the way down. Don't let the stairs deter you from coming, they were much less daunting than I expected.